I think I've narrowed it down to three choices, for my 2018 XRS. I'm leaning toward the Kanati Mongrel. Which do you think is the better choice? Thanks. For what terrain? Where do you ride? deserts and mountains of southern Utah, northern Arizona, Nevada. I ride in the deserts in AZ and UT as well and have ridden on kanati Mongrels and Tensor Regulator. They are both excellent desert tires that will work well for you. The Tensor will wear a bit longer and are a flat profile where the Kanati Mongrel has a rounded profile. Thanks. After looking at it, I'm interested in the Kunati Tera Master as well. Have you guys got any feedback from customers on that tire yet? Thank you for your question. We can order the Kanati Terra Master tires but have not sold any yet so we don't have any feedback. It looks like it is going to be a good desert tire but I just don't have any first-hand experience at this time. I had Goodyear MTR w/ Kevlar tires on a pickup truck and a Jeep before. They have a similar asymmetric style of tread that these Terra Master tires have, and they worked fantastic pretty much everywhere. My wife wants me to get a set of tires "just like we had on that pickup" when the stock tires on her Grand Cherokee wear out, because the tires on "that pickup" worked so good. I tell her the Goodyear MTR w/ Kevlar tire might be a bit too aggressive for her grocery getter Grand Cherokee, but that is the tire she wants. I would bet this new Terra Master tire is going to be pretty good. I'll have to look into it a bit more. Here's some experience and advise for you. I had the Kanati Mongrel on my prior PoPo as a replacement for the stock tire. I chose them primarily because they were DOT and thought they would work well here in the Tucson desert. I had them on for about 600 miles before I sold the machine and bought the X3 X RC. When I had to ride on the street to get from trail to trail they were less than desirable due to noise and vibration. In the desert they did okay but the rounded profile tends to follow ruts and the stiffer sidewalls made the ride a bit harsh and less forgiving. They are overall harder tires and seemed to soak up less of the chop than others I've ridden on in the past. They are also designed for higher pressures. Once I got the X3 and rode the Maxxis Liberty it was a night and day difference especially when adjusting pressures for the type of terrain you ride on. I've found the flatter profile tires work better in desert and in my experience you can run lower pressures for better ride. In addition, when selecting a tire, be mindful of weight. The lighter tires mean less unsprung weight which equals better handling. I like the Liberty tire but there are others out there that will fit your need well. Good luck with your decision. I have 1100 mi on the Mongrels 10x14x30's and I am looking to step up to 32's as well. I would have no complaint about the 32's in a mongrel as they have been perfect tires for the desert and rock areas we ride in SO CA. The 30's Mongrels I run are very durable and I have had zero flats. The sweet spot for me is 14 P.S.I. 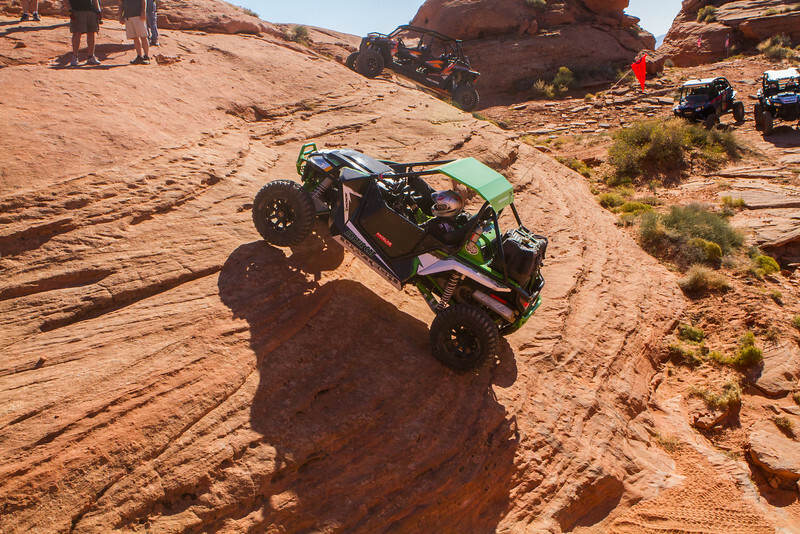 They track well at high speeds, corner well and seem to do very good rock crawling. I bought them for a all purpose tire and they do most thing well. Having said that do not not expect much from them in deep loose gravel or sand. But that is not what you were asking for. In the end because I have owned a set already I probable will choose another tire just because I want to try something new. Right now I got wood for the Tensor Regulator 32x10R-15's. And your choice on the 15x7 6+1 DWT Sector Zero wheels I think would be something you would never regret. Good luck and please follow up with your choice and how you like them.